“Jolanda is very hospitable and she helped us a lot on planning our trip through Jordan. Also we had a lovely home cooked diner, lots of very nice tea, good conversations and even Dutch coffee (without kardemom)!! Jolanda even made us a breakfast box before heading to Wadi Rum. “Liebe Jolanda, vielen Dank nochmals, dass du dich so gut um uns gekümmert hast. Alles Liebe und bis zum nächsten Mal”. 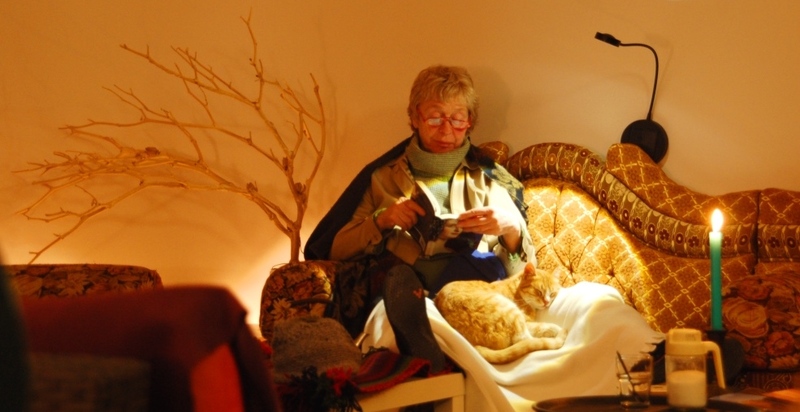 “There is just one word to describe our stay at Jolanda’s B&B: magical! It already started in the weeks before: Jolanda answered all my questions extensively and gave tips for next destinations in Jordan. As one of us got sick just before we would arrive, she was very understandable and helpful, and we could postpone our stay a bit without any problem. “Yolanda is the most wonderful host!! She is warm, welcoming and always happy to have a chat. She is also extremely helpful, and can provide advice on the location of facilities (e.g. An ATM that takes MasterCard) in Wadi Musa as well as a reliable taxi driver. The location is simply superb. It takes only 10-15 mins to walk to/from the entrance to Petra (although it is uphill on the way back). And the breakfasts Yolanda provided we’re the best I have had in Jordan. I highly recommend staying her. 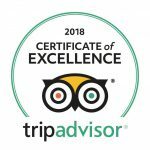 ” I decided to stay at the Petra Fig Tree Villa based on the recommendation of a friend who came back from Petra raving about how great her stay there had been and in particular how fantastic Jolanda had been as a host. Well my friend did not exaggerate, Jolanda is one of the best hosts that I have stayed with and made us feel right at home from the moment we arrived. The villa itself is lovely and has a stunning view over the mountains surrounding Petra. You can easily walk down to the site itself, although on the recommendation from Jolanda we decided to drive down as the walk back up didn’t seem so appealing after hiking in Petra all day! “La maison est située à proximité immédiate de l’entrée de Petra, au calme absolu, avec une vue dégagée sur les montagnes alentour. Ensuite, les chambres sont spacieuses et très agréables. Les repas préparés par Jolanda, petit-déjeuner et repas du soir, sont exquis. Enfin Jolanda connait très bien Petra et la Jordanie, elle est de très bons conseils. Nous étions avec nos enfants, c’était beaucoup plus agréable qu’un hôtel, le jardin est fermé, les enfants pouvaient jouer dehors le matin ou le soir en toute sécurité, sans déranger les autres locataires. “Ich war mit meinem 7-jährigen Sohn für 2 Nächte im Fig Tree B&B und wäre gerne länger geblieben. Wir haben uns sehr sehr wohl gefühlt. Jolanda hat einen tollen Ort geschaffen… Haus & Grundstück sind sehr gepflegt und liebevoll eingerichtet. Die Lage ist perfekt mit Blick auf Petra, nur 300m Luftlinie zum Visitor Center. Jolanda ist eine tolle Gastgeberin, die aus dem B &B mit ihrer warmen Art wirklich eine Oase macht. “The view is the first thing you notice, overlooking the city. Beautiful! Jolanda is an excellent host, and also a great cook! She cooked dinner one night for us, and it was delicious! “My stay in Jolanda’s home was fantastic ! Yolanda made her best to make my stay confortable ! And it was also ! We had good diner together (she is a pretty good cooker) and she gave me many advices for visiting Petra ! “Sobre el lugar. Es una casa que se encuentra en una colina, desde ahí el paisaje es espectacular al anochecer. Una vez instalado puedes caminar fácilmente hasta el centro de visitas de Petra. La casa. Es muy cómoda, bastante amplia. La habitación es perfecta, bastante limpio todo. Sobre los alimentos. El desayuno y la cena se sirven en la terraza, Jolanda la anfitriona se encarga de preparar la comida, que es abundante y deliciosa. Mientras comes puedes platicar con ella en perfecto inglés, sabe bastante de Petra y te puede dar buenos consejos de como recorrer la zona arqueológica. Sobre Jolanda. Me parece que es una persona muy simpática, sociable y alguien en quien puedes confiar plenamente. Si es necesario te puede ayudar con algunos otros temas de tu viaje. “We stayed here for two nights in a very big and comfortable room with our own balcony and beautiful view. The villa is located very close to the entrance of Petra, much closer than most of the other hotels and it is very peaceful and quiet. “Great, well-located B&B with very hospitable owner”. “I stayed for only one night but it was such a relaxing and comfortable stay. Jolanda is very hospitable and nice, i enjoyed the small talks we had. she was very helpful in arranging pick ups for me and giving me tips on what to do for the day i had visiting Petra. her place is so cozy and relaxing, it didn’t feel like a stranger’s house at all but more like staying at a friend’s place. i was so hungry by the time i arrived in the morning because i didn’t have time for breakfast and she gladly fixed me up a sandwich and some tea and gave me a snack before i head to Petra. she is an amazing cook and the dinner was delectable. the villa is in a walking distance from the Petra visitors center (10 to 15 minutes) with a bit of an uphill and has a nice view of wadi musa. my room was so nice and had a terrace overlooking the mountain and Petra. “Petra Fig Tree villa is a lovely house in a perfect position overlooking Wadi Musa and 10 minutes climb from the entrance to Petra. It is not Grande Luxe (you do have to share a bathroom) but the bedrooms are comfortable and there are great terraces and gardens in which to sit and watch the sun come up – or go down! Yolanda is friendly, welcoming and delightful – she not only fed and watered me really well but arranged an amazing trip to the Wadi Rum desert for me. Her vegetarian food is delicious – and what better than a breakfast mezze on the terrace washed down by gallons of herbal tea and kept company by Pumpkin and Ginger, her two friendly cats! !